Greg Penner is founder and general partner of Madrone Capital Partners, an investment management firm located in Menlo Park, California. 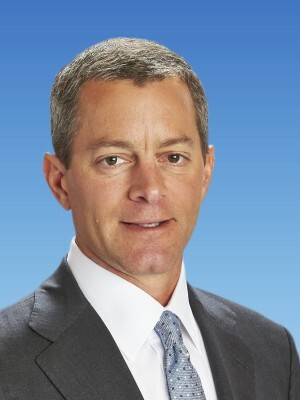 Elected as chairman of the Walmart Board of Directors in 2015, Greg is only the third person to serve in the position, following his father-in-law, Rob Walton, and company founder Sam Walton. Over a 20-year period, Greg has worked with Walmart in a number of capacities, including as senior vice president and chief financial officer- Japan and senior vice president of finance and strategy for Walmart.com. He was first elected to the Walmart Board in 2008 and has served as a member on the Strategic Planning and Finance Committee and as chairman of the Technology and eCommerce Committee. Previously, Greg worked as a financial analyst at Goldman Sachs & Co. and as a general partner of Peninsula Capital. He also served as a member of the board of directors of Baidu, Inc., from 2004 to 2017 and on the board of directors of Hyatt Hotels Corporation from 2007 to 2014. Greg earned a bachelor of science degree in international economics from Georgetown University in 1992 and a master’s in business administration from the Stanford Graduate School of Business in 1997.